As everyone is so fond of saying: Winter is Coming! 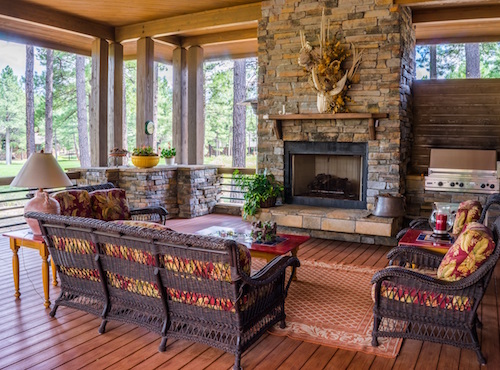 With the changing seasons comes many changes to your house. Are you prepared for the cold months? 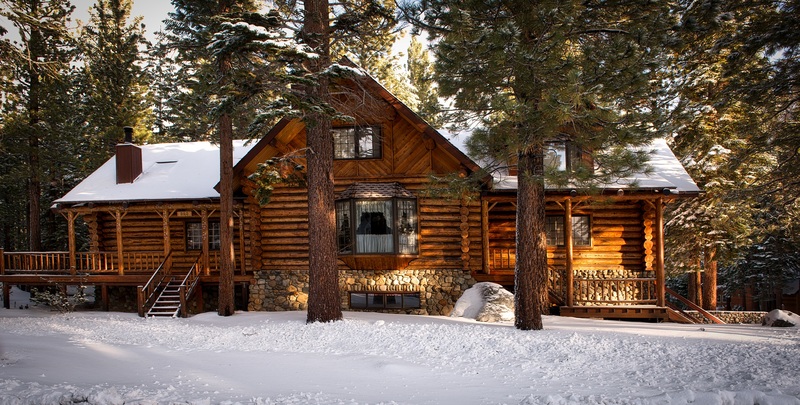 We’ve got some helpful advice about preparing your home for winter — 7 tips to save you money and keep you warm this winter! 1) Make Sure Heating is up to Snuff! The cold weather is hitting Colorado pretty hard this autumn, bringing grey days and more moisture. This is the time of year to test your heating systems. Make sure the baseboards are flowing with hot water, or the central air actually heats up! It’s also a good idea to get your ducts checked. You don’t want recirculated dust making your home smell stale this winter. The doors and windows will be closed enough as it is! 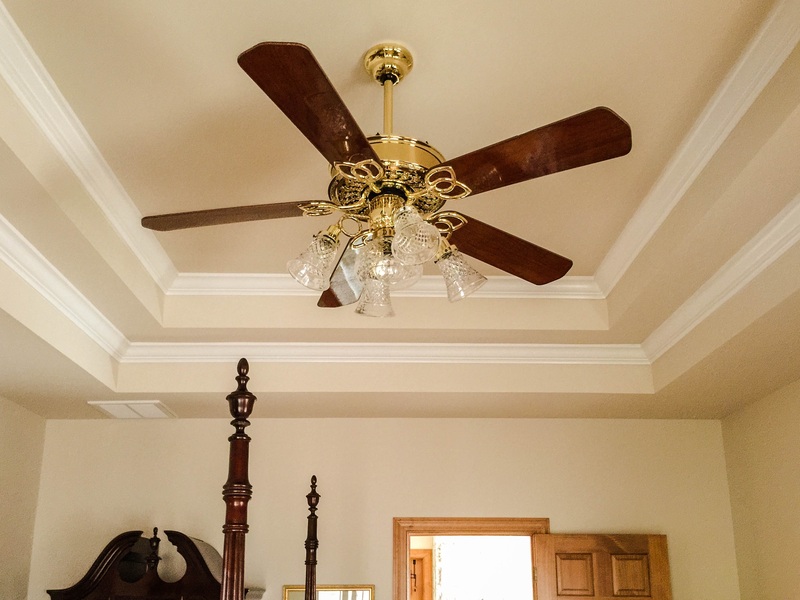 To help the heat flow properly throughout your home make sure your ceiling fans spin in the clockwise direction. This way you’ll create an updraft in the room, moving cooler air upwards and pushing the warmer are out into the room. Most contemporary fans have a little switch to reverse the direction the blades spin. Autumn will be throwing leaves, seeds, and twigs onto your roof. 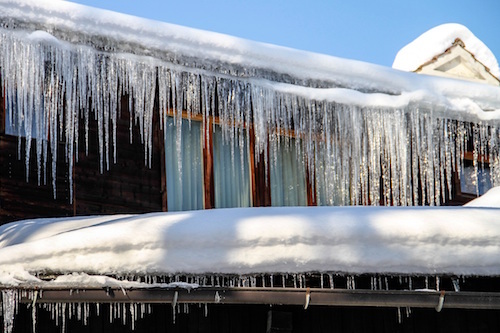 These will undoubtedly end up in your gutters — creating dams where snowmelt will pile up and create ice castles hanging from the eaves. Over time the added weight can do some real damage to your house. While you’re checking your gutters for obstructions look over your roof for other damage or missing shingles. It may be time to hire someone to seal any leaks, restore the shingles, and clean up everything for you! Don’t let heat idly seep out of your home! If you have storm windows, put them up. Have you noticed the weatherstripping degrading around your doors — then it’s time to replace them. Are there small cracks around your window frames? Put caulk over them to stop the draft! If you haven’t taken these steps in the past, you’ll definitely notice a HUGE difference this year. Even the smallest leak can turn into a big problem. Make sure all your exterior faucets are completely off. If you see a slow drip, call someone to repair it before the hard freezes descend into the area. If the leak freezes, and expands in the cold, the little drip could turn into a minor flood when it thaws. See about turning off the water to the outside completely, if that’s a possibility! Frozen water is the worst enemy of a sprinkler system! 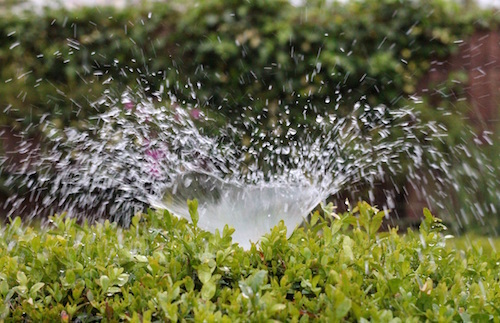 Drain the water by opening the sprinkler-system spigot, usually near the water lines. Or, better yet, call a professional to blow out the whole system. Burst pipes, come the spring, are extremely difficult and costly to repair and replace! If you’re lucky enough to have a fireplace make sure to hire a chimney sweep before firing up the log. With obstructions in the floo carbon-monoxide could build up in your house and be hazardous to your health. And if the chimney is completely blocked — well, you’ll have a very smokey room for a while. Even if you’re not planning on selling the house you’re in before the winter hits having this list done will help the sale go by even faster! For other household tips check out our other blogs at WiseTeamColorado.Com/Blog and see how improving your home for each season can add value and memory to the space in which you live!